Home New York Giants Should The New York Giants Make A Change At Offensive Line Coach? On January 15, the Indianapolis Colts made a position coach change. The Colts fired their offensive line coach, Dave DeGugliemo. This move by the Colts prompted plenty of Giants fans to wonder if their team will make a change on their own coaching staff and pursue DeGugliemo. Dave DeGugliemo actually used to be part of the New York Giants’ coaching staff. He was a part of the 2008 Super Bowl victory in which the Giants had one of the league’s best offensive lines. DeGugliemo served as the Giants’ assistant offensive line & quality control coach from 2004 to 2008. In 2018, the Indianapolis Colts had arguably the best offensive line in the NFL. They showed massive improvement from 2017 to 2018. In 2017, the Colts had the 25th ranked offensive line according to Pro Football Focus. DeGugliemo helped turn that around in 2018, as they were the 6th ranked offensive line per PFF. Part of this change came from having DeGugliemo as the offensive line coach. He was brought to Indianapolis in 2018 by head coach candidate Josh McDaniels, who was later replaced by Frank Reich. Dave was the only assistant coach that Reich did not hire himself, so after one season he has decided that he wants to make his own hire. Dave DeGugliemo has been part of some of the best offensive lines in the NFL over the past 15 years. Aside from working with the Giants, DeGugliemo also worked as an offensive line coach for the Dolphins in 2009-2011. The Dolphins 2009 offensive line unit was ranked second in the NFL according to Pro Football Focus. They also ranked 8th in 2010. The Dolphins’ offensive line struggled in 2011, and DeGugliemo moved on to become the offensive line coach of the Jets in 2012. The Jets’ offensive line ranked 3rd in the NFL in 2012. He only spent one season with the Jets and did not coach in 2013. In 2014, Dave went to the New England Patriots and coached the Giants’ current starting left tackle, Nate Solder. Dave DeGugliemo has an extremely impressive track record. 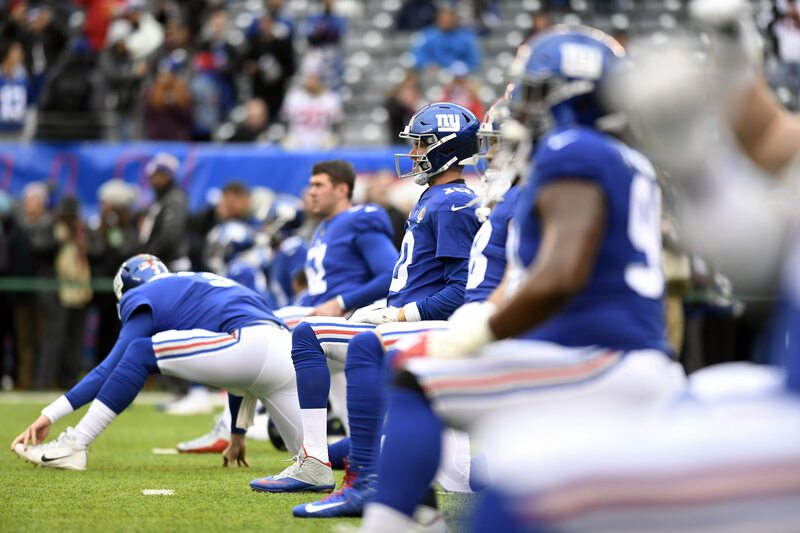 The New York Giants offensive line has been struggling for years and did not show much improvement when new offensive line coach Hal Hunter took over in 2018. The Giants could look to bring DeGugliemo back to New York in order to fix their offensive line issues in 2019.